Nikon 70-210 mm f4 series E lens in excellent working condition glass clean with no scratches haze or fungus few external marks for normal use. Fit your camera with the Nikon AIS 70 mm - 210 mm lens and take pictures of the beautiful peacock in the sanctuary, lion cubs in the forest, and sleeping child in the cradle. Depending on whether it is wide-angle or close-up shots that you need to take, you can adjust the focal length of this Nikon camera lens between 70 mm and 210 mm. Images are always sharp and distinct, as sufficient light enters the f/4.0 aperture of this Nikon lens. Use a 62 mm filter on this Nikon camera lens to minimize the reflection of light at the surface and also keep the lens protected from dust and dirt. Focus as close as 3.7 feet with this Nikon lens and obtain innovative photographs. Composed of 13 elements and nine groups, this Nikon AIS 70 mm - 210 mm lens has least amount of aberrations. Constant aperture, not too heavy, F4 is working aperture on all focuses, well made mostly of metal, good for film and digital photography. This lens has provided the coverage that I needed for a Medium range zoom lens. The quality of the photographs has been good. To get more light one would have to go to the much more expensive f2.9 lenses. The other aspect that would be nice would be the VR lenses which again would be much more expensive. In summery I would rate this lens as an excellent compromise of performance and cost. Bought this to replace my 70-210, much better photos with lower light. Next will be a 2.8 but much more expensive. A little heavier than last lens and since it is longer at 70 than original lens requires a steadier hand. Old school works fine or better. Sigma or Tamron has introduced a 70-210 f/4 for $800, with OS. With good technique there is no need for OS. F/4 is f/4, the optics has not changed there has only been other stuff laid on top of it. Think filters. Sharp, quick autofocus and resonably fast. Very good value for money. Solid and sharp lens with f4 all the way through the zoom range. Light and compact compared to later lensens with similar range. Focuses at close range, allthought not a macro lens. Works flawlessly on my D7000. Very good value for the price. See review at kenrockwell.com. 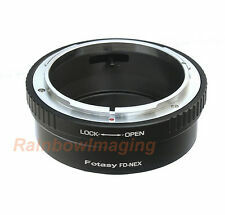 Beware that similar lenses with varying apeture exists and are a lot easier to come by than the f4. Look for the "ring" near the top of the lens.